Destiny players all know one thing. The game's loot system is quite unstable. Unidentified equipment called Engrams are dropped by enemies and can be identified by talking to the Cryptarch in the Tower. 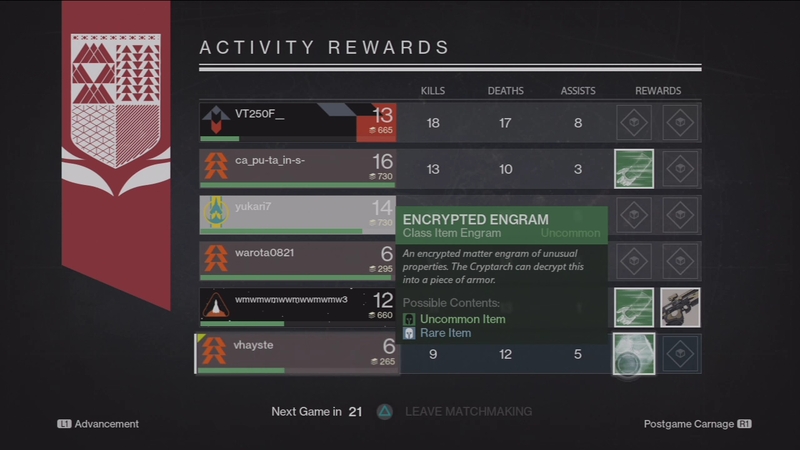 However, there's no guarantee what rarity you'll get for decrypting an Engram. A blue "rare" engram can still become a green "uncommon" item. Defeating bosses in challenging missions like Strike Missions don't automatically yield better gear. Gear rewards in competitive multiplayer matches seem to be randomly distributed. A lower ranked player can still get rare rewards by random luck and his/her top team mates won't get anything. This is why loot farming methods became immensely popular with players who wants access to better gears, even if it means shooting infinite enemy spawns coming out of a cave for hours. 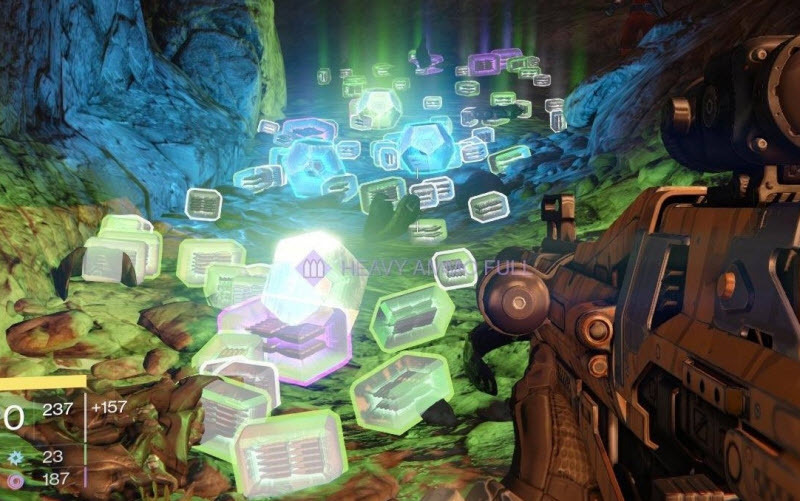 The Loot Cave is a small cave in the Skywatch area, like any other found in Earth which spawns infinite Hive enemies. Players will stand in a short distance from the cave and just shoot the Thralls and Acolytes coming out in groups. "The social experience of a cave farming run is amazing: the herding to get a team of Guardians all behind the line and firing in the right direction, the rush to grab the loot, the scramble when the panic wave starts, the beckoning glow from inside the cave," Bungie said in a developer note. "The speed at which the community organized around this activity was inspiring and humbling to us." "But shooting at a black hole for hours on end isn't our dream for how Destiny is played. Our hope is that social engagement in public spaces is only one part of the Destiny experience." Players have mixed reactions, particularly pointing out the game's somewhat obnoxious loot system. As of this writing, another Loot Cave has been discovered. As it gains popularity, Bungie will probably do the same. But that won't stop players from finding ways in getting their much coveted gears.